Artemisia was prescribed by my healthcare provider and Ive had no side effects. I use Artemisia by NutriCology for Lyme disease and can tell it works! Kills parasites like Lyme. 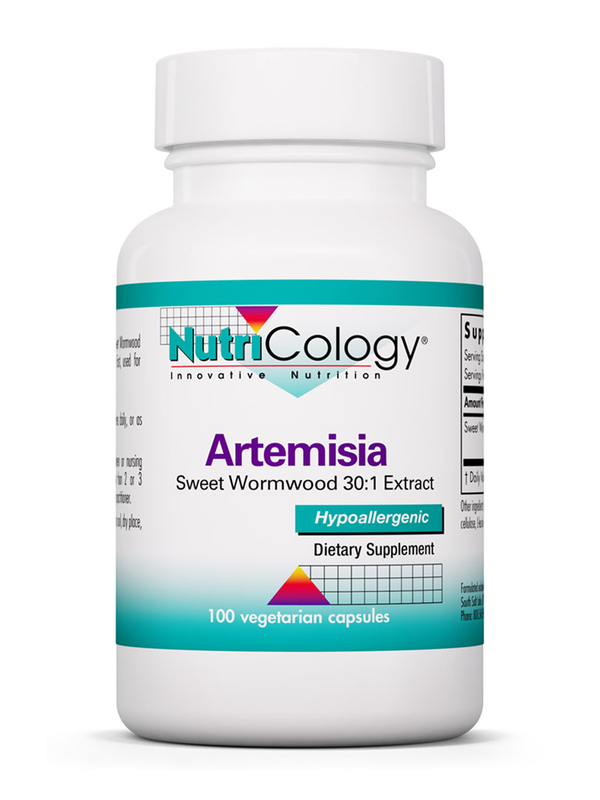 We know that Artemisia by NutriCology helps to get rid of parasites and malaria, which makes this such an amazing product! 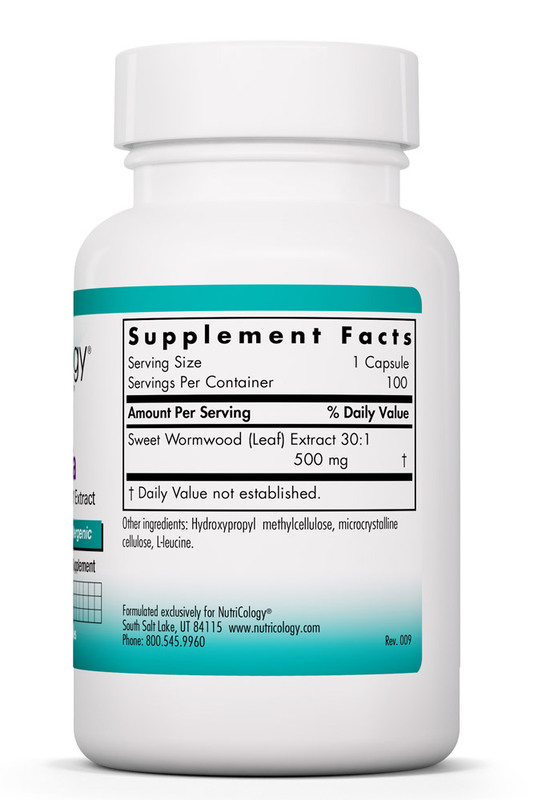 Artemisia Vegetarian Capsules from NutriCology® may provide you with the benefits of a healthful herb called sweet wormwood. This popular beneficial herb is native to Asia and is known by different names like Sweet Annie‚ Sweet Wormwood‚ and Annual Wormwood. The fern-like leaves and yellow flowers of this herb emanate a fragrance similar to camphor and this supplement from NutriCology® brings it to you in easy to take capsules. The plant is found commonly in areas that lie about 3‚000 feet above sea level‚ in some parts of China. One of the active chemicals in this plant is called artemisinin‚ which has made it a popular ingredient in modern supplements. The herb is consumed in a tea form for digestive health. The Chinese and Vietnamese forms of Artemisia are shown to provide 70% of raw artemisinin. 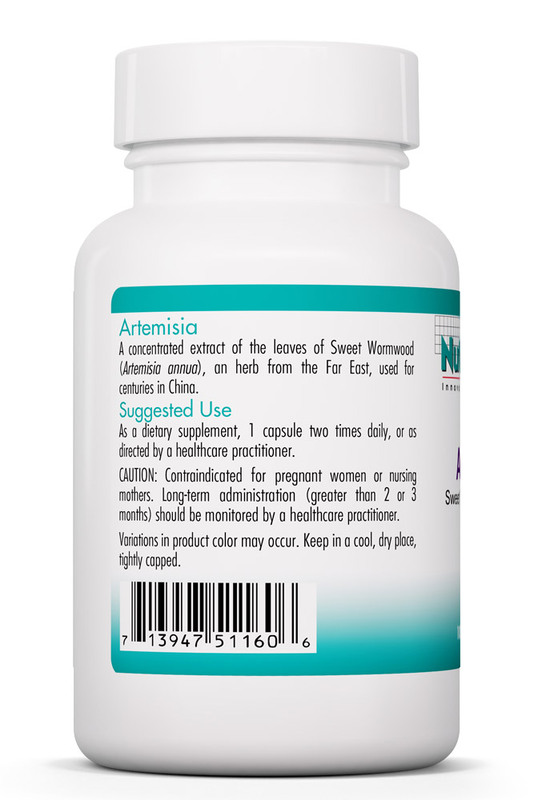 Sweet Annie tea has been used by traditional Chinese herbalists for ages and studies show that Artemisia Vegetarian Capsules from NutriCology® might potentially have anti-allergenic properties. 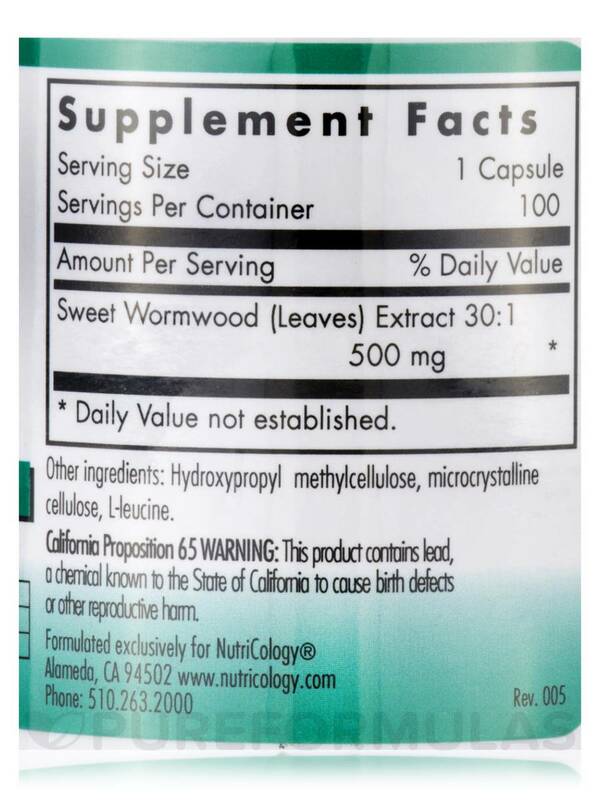 As a dietary supplement‚ 1 capsule two times daily‚ or as directed by a healthcare practitioner. should be monitored by a healthcare practitioner. Got rid of cancer cells in my lung. Artemisia by NutriCology is very easy to take, quick results, very happy! Very quick results, didn't have to take very much. My doctor prescribed this for lyme disease treatment along with prescriptions. I am feeling better and continue to take this supplement hoping that it is helping. No side effects. 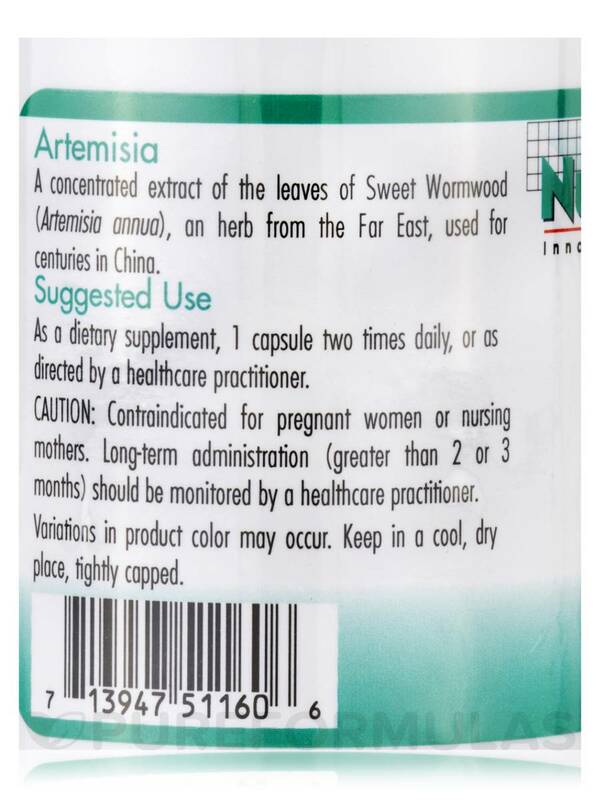 I dont know how Artemisia will work yet as I was taking the Super Artemisinin from Nutricology for quite a while for Babesia. But Artemisia is getting to be popular and has driven up the price too much and because I need to take 1000mcg a day 3 times a week for two weeks one bottle of the Artemisinin was going fast. So well see if Artemisia works the same way - I get to try it out next week when I restart my ABX regimen. Its still from the same company so no worries over fillers etc.